Because the weather is just so sweltering, I decided to make a pie. It is part Italian, part Spanish and part Welsh. It’s the Catherine Zeta Jones of pies. I made a traditional bolognese but instead of minced pork I used chorizo. As ever with bolognese the trick is to cook it on a low heat for a long time, so you can make that part in the morning or day before if you want to. 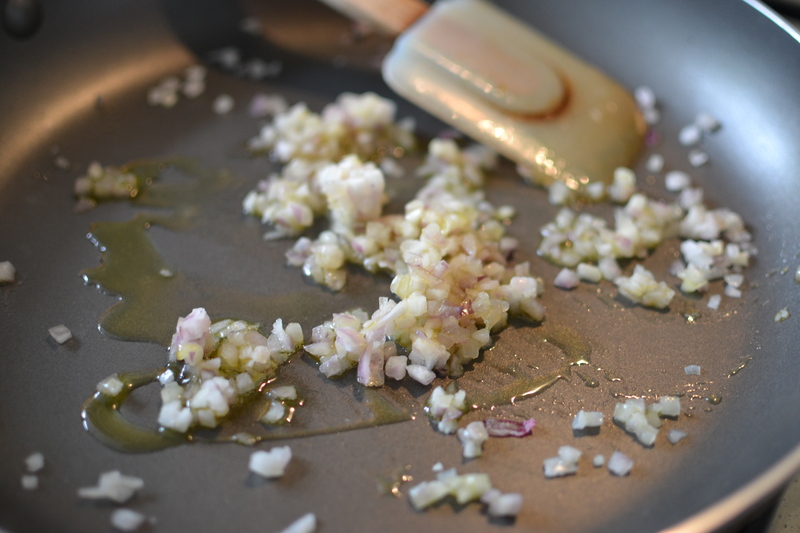 Sautee the shallots in a little olive oil and a teaspoon of butter. 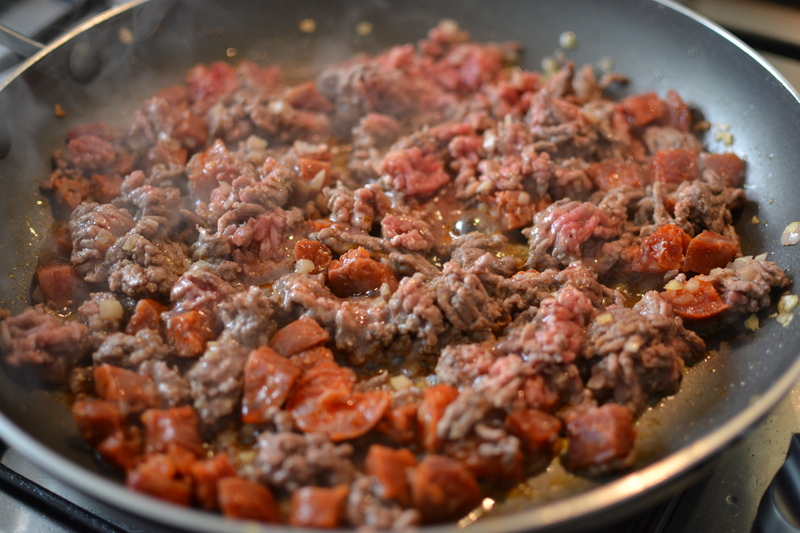 Add the beef mince. 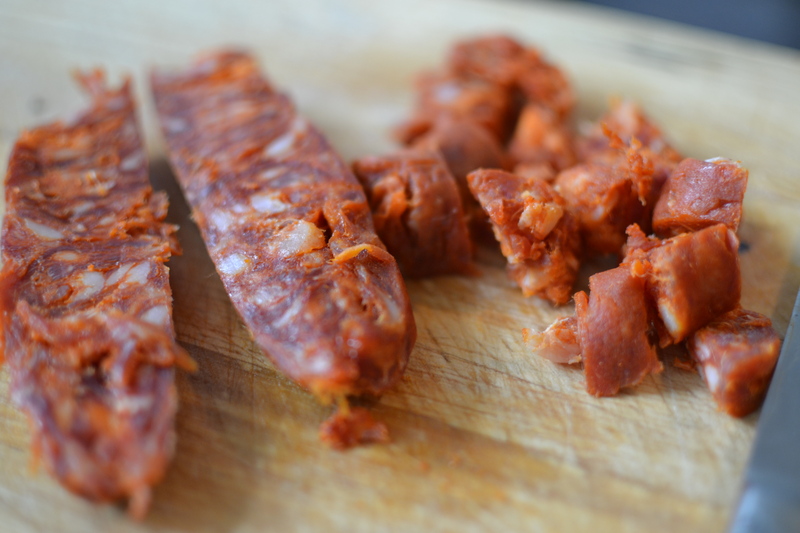 Skin and chop the chorizo and add to the pan. Fry off ie cook until the pinkness has gone. Put the red pepper, cherry tomatoes and chopped carrot into a blender and blitz to make a sort of passata. You can use ready made tomato pulp instead if you want to. I’d go for about 500g if you do. 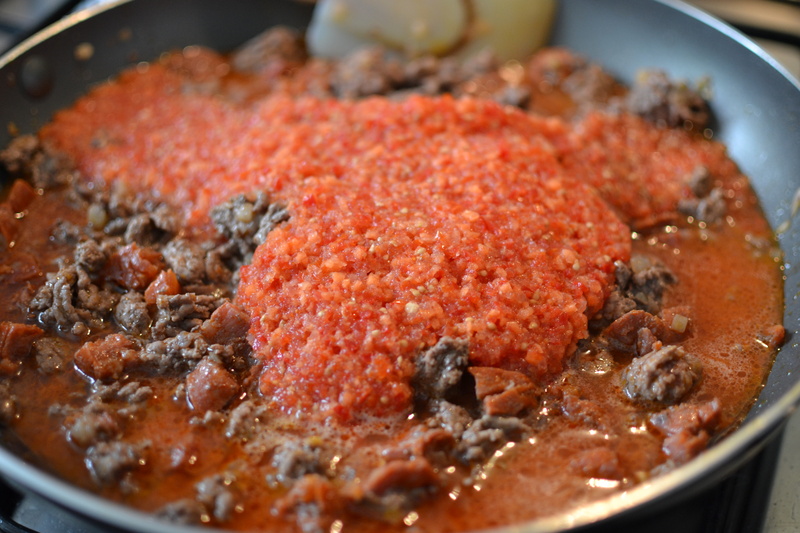 Add your passata to the pan along with 150ml of wine – I used red but white is fine too. Bring it to a bubble then turn the heat down so it’s gently blipping. You’re now going to leave it to cook for at last 2 but preferably 3 hours. You can either put it into the oven on a low heat (150C) or leave on the hob. Check it every hour and if it is drying out, add a little water. Boil the new potatoes, drain and leave to cool. 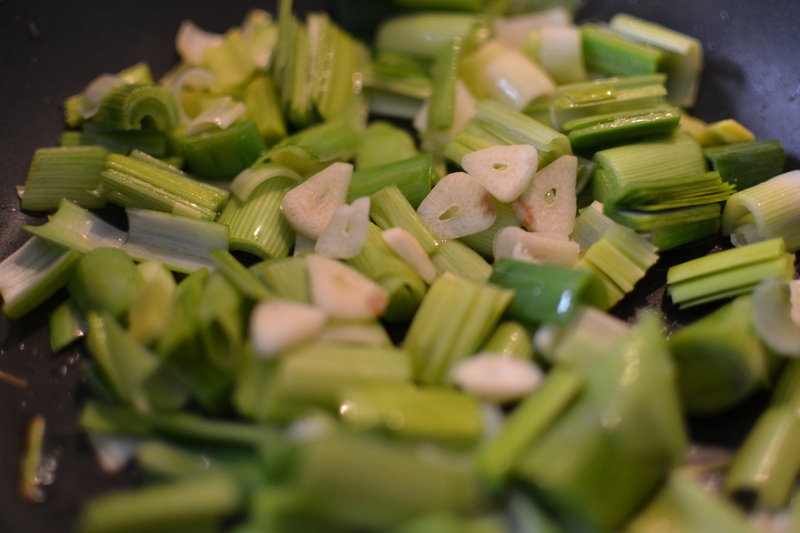 Wash and chop your leeks, and sautee in the butter, and the clove of garlic, peeled and thinly sliced. 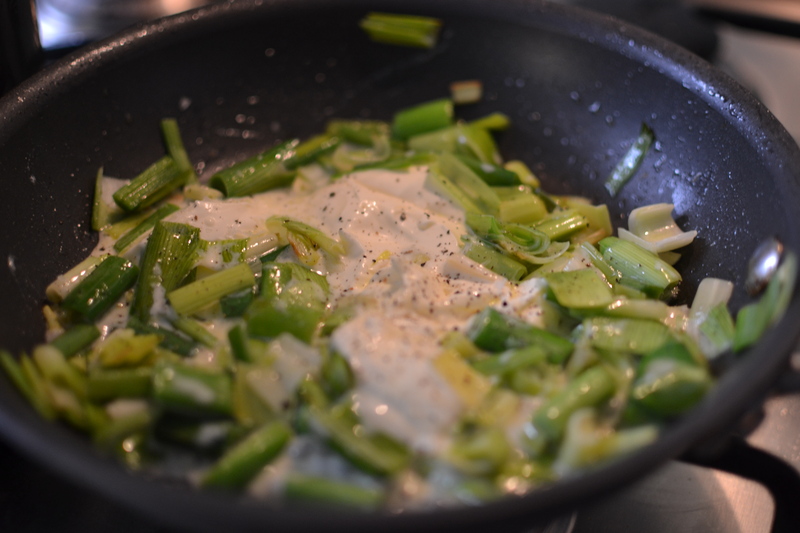 When the leeks have softened, stir in two table spoons of creme fraiche until it melts. Season well. Turn off the heat. When you’re ready to cook the pie, slice the new potatoes into thick pieces. 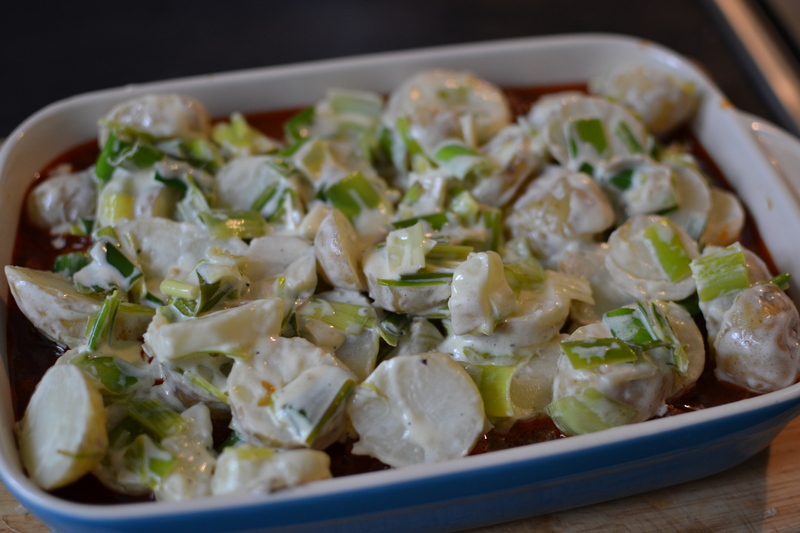 Gently combine with the leek mixture so as not to break up the potatoes too much. 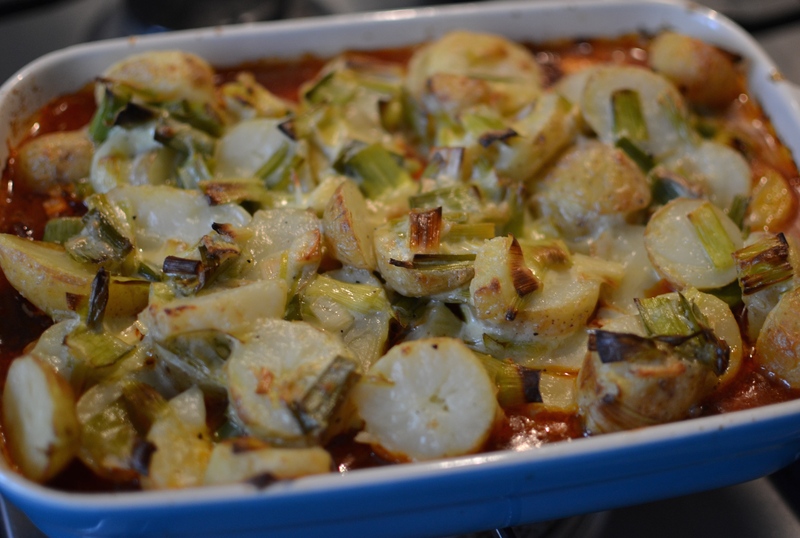 Put the bolognese into a baking dish, and top with the leek and potatoes. Cook at 180C for 30 mins or until bubbling and browned. This entry was posted in 20%, Beef, Chorizo, Creme fraiche, Garlic, Leeks. Bookmark the permalink.